Motorcycle operators have the same rights at responsibilities as any other vehicle operator, but many automobile drivers forget that. Many accidents involving motorcycles and automobiles are a result of negligent actions on the part of the car’s driver. In these instances, it’s important to have a motorcycle accident lawyer offering assistance. As a motorcycle operator, you want to enjoy the freedom of the open road and expect other vehicles to share the street with courtesy and safety in mind. The challenge is drivers who don’t understand the unique risks motorcycle operators face and the importance of treating them with the same respect and awareness given to any vehicle sharing the road. Because of this, motorcyclists must be particularly aware of their surroundings. This is because they are especially at risk for serious injury during an accident. They are fully exposed to their environment without any buffer between them and anything they may come in contact with. A human body, even with the best safety gear, can suffer significant injury when coming in direct contact with the pavement or another vehicle. Broken limbs, head trauma, and severe lacerations are just some of the injuries experienced by victims. This is why the help of a motorcycle accident lawyer serving Corpus Christi is often necessary when navigating the process after an accident. A motorcycle accident can be among the scariest events one can experience. In the moments immediately following an accident, you want to be sure and seek medical treatment to assess the extent of your injuries. Some may try to minimize any pain they may experience, especially if there are no obvious visible injuries. This can be a dangerous course of action if there is an underlying injury left untreated. But when you have received medical treatment, you may also find yourself having to take time from work which can add to an already stressful situation. Medical bills continue to pile up, lost income begins to take its toll and before long you find yourself overwhelmed and wanting to know who is going to be responsible for your expenses. On top of all of it, you have to deal with the insurance company and this is where you really need the help of a motorcycle accident lawyer in Corpus Christi. If you are a motorcycle operator and have been injured in a Corpus Christi auto accident, Carabin Shaw has a team of quality, experienced attorneys who can help. Insurance companies are notorious for pressuring accident injury victims into quick settlements, often before they have completed their course of treatment. They will suggest to the injured party that they are completing their investigation by getting a recorded or written statement. They may ask to review confidential medical information and even try and get you to sign a release all in an effort to persuade you to settle for less compensation than you deserve. The insurance companies have staff attorneys who advise them on what they can do to pay the lowest amount possible. The problem is that this doesn’t take into account the rights of accident victims under the law. This is why we discourage anyone injured in an accident from talking with an insurance company before talking with a lawyer. Your settlement is not just about getting your medical bills paid. You may also be entitled to receive compensation for pain and suffering, lost income, and other damages that are directly related to your injuries. 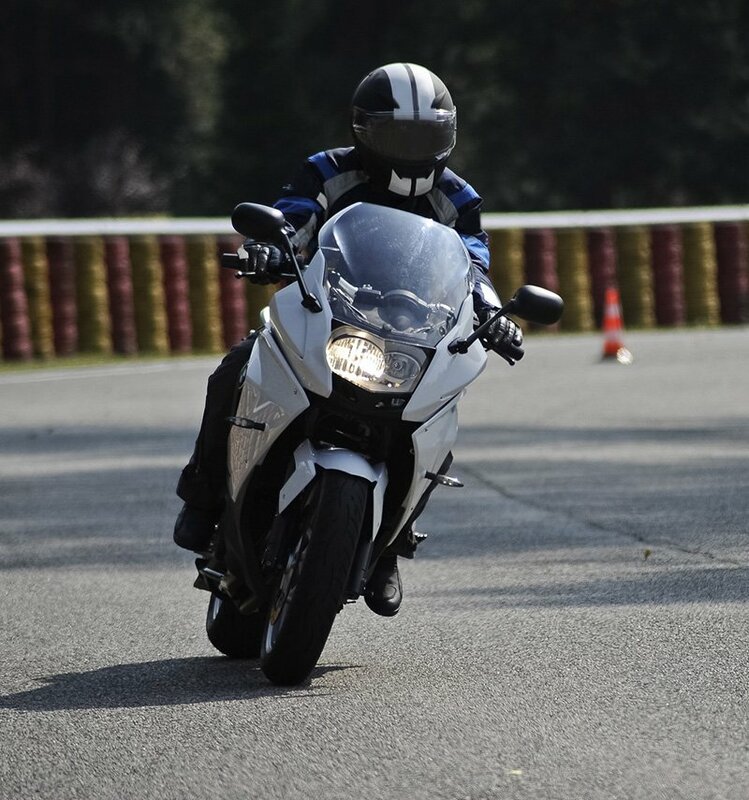 A motorcycle accident lawyer from the experienced team at Carabin Shaw will help you determine what is in your best interest and ensure your rights are protected. Carabin Shaw has some of the most dedicated injury attorneys around. Our team works diligently to advocate for our clients’ rights. Your first step to working with us is to schedule an appointment for a free initial consultation. During this first visit, we’ll ask you for all of the details involving your accident and discuss your current and future medical treatment. This allows us to devise the best strategy to help you successfully receive the compensation you deserve. When you decide to let us work on your behalf, you can focus on recovering from your injuries and getting back on your feet. We’ll do the work of dealing with the other insurance company and their representatives. After a motorcycle accident with another vehicle, call your doctor or seek emergency medical treatment first. Then make your next call to the law offices of Carabin Shaw. You can reach us toll free at 1.800.862.1260.